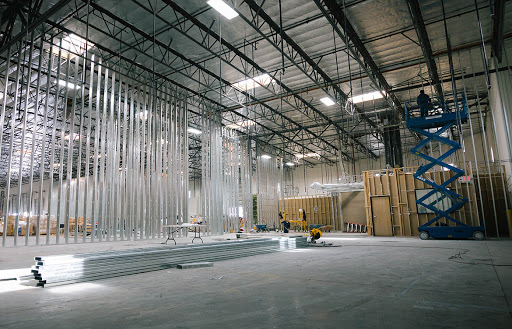 CHINO, CA — Gano Excel, USA recently announced its $1.5 million investment to remodel its newly secured 43,500-square-foot facility in Chino, CA into a new national headquarters is underway. Once completed, the building will be home to U.S.-based operations and include dedicated space for use by the company’s league of independent Affiliates. “Our vision is allow our Affiliates an atmosphere to excel in their business,” says Director of Field Relations Robert Paz. “Our new headquarters will have a Social Center complete with GanoCafé social bar, tech-equipped training stations and company store.” The new center will AUGUST 18 Dallas, TX GE is coming to Dallas! Come hear Gano Excel leaders from Texas share their secrets to success! OCTOBER 21 – 26 Bali, Indonesia Top 1% Leadership Summit in Bali, Indonesia: An exclusive event for Gano Excel’s top 200 global producers – can you reach the summit? GANO EXCEL, USA INVESTS $1.5 MILLION TO RENOVATE NEW U.S. HEADQUARTERS hold up to 300 people, a significant increase in capacity over previous facilities. The space will allow the company’s Affiliates to conduct business and meetings with ease. Construction for the improvements began in February of 2018. Gano Excel is working closely with the City of Chino to ensure a safe environment for employees and guests to enjoy the new building enhancements. Once completed, Gano Excel plans to open up its headquarters for official tours in order to provide education to the public about its key ingredient, Ganoderma lucidum. Gano Excel is known for its signature GanoCafé instant beverages enriched with Ganoderma lucidum extract, a health supplement for natural immune support along with other bioactive benefits. Guests will also be able to join the company’s multi-level marketing program instantly by visiting the Social Center. “You can walk in as a mom, or cashier, or any background really, and leave as a business owner; that’s the dream,” says Paz. The multimillion dollar renovations project is estimated to complete by June 2018 and re-open later this summer.